New! 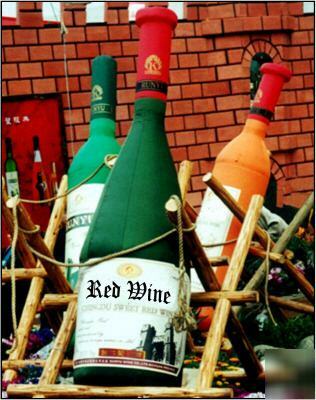 Giant 20 Ft Tall Wine Bottle Advertising Inflatable ! Sale Is For One Wine Bottle Inflatable, Blower, and Hardware. Does Not Include Wood Rack. Everthing you Need Is Included Blower, Storage Bag, Straps, Ground Stakes Repair Kit and Complete Instructions. 2 Year on Inflatable and 1 Year Warranty Blower.